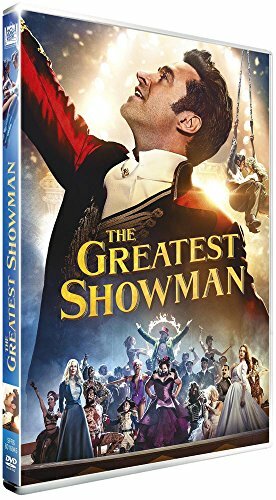 Titre(s) The Greatest Showman / Michael Gracey, réal. ; John Debney, Joseph Trapanese, comp. ; Bill Condon, Jenny Bicks, scénario ; Hugh Jackman, Zac Efron, Michelle Williams, Rebecca Ferguson, Zendaya, Keala Settle,... [et al.] act. Editeur(s) Paris : 20th Century Fox, 2018 [prod.]. Présentation 1 DVD (01 h 44 mn). coul.